The country was by now swamped with beat groups following the meteoric rise to fame of The Beatles who were sweeping all before them. 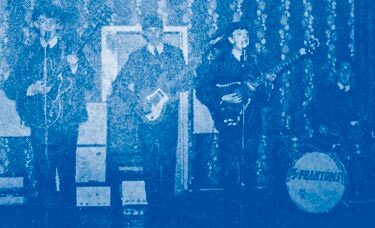 From every town and city up and down the land there were thousands of young hopefuls all seeking to emulate the success of the fab four. This information is presented here in its most basic form, for those of you wishing to flesh in the bones of the story of these early days then simply follow the link to Michael Parkers excellent pages on the subject.